Home | Food | What’s New On The Crossroads Menu? Although I've dropped by Crossroads many a time while passing by to buy the odd éclair or the famous prawn roll that only Tasty Caterers makes so well, this was the first time I checked out their dining options and I was pleasantly surprised as the options were plenty, and it was real value for money and the service was excellent. The walls are adorned with framed posters of Broadway musicals such as Mamma Mia, The Sound of Music and The Wizard of Oz. Quaintly furnished, it's cosy inside and the outside dining area is ideal for a quiet meal. From the wide range of beverages, we tried out the Berry & Berry Smoothie (Rs. 250) which was a rich thick drink. 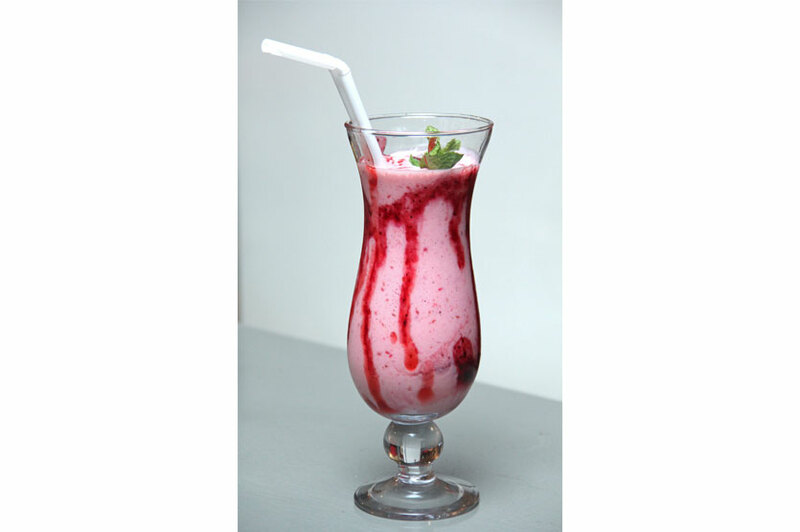 It was made with raspberries, strawberries, fresh milk, yoghurt and a bit of sugar syrup. The slight seedy texture enhanced the flavour and gave it an added goodness. 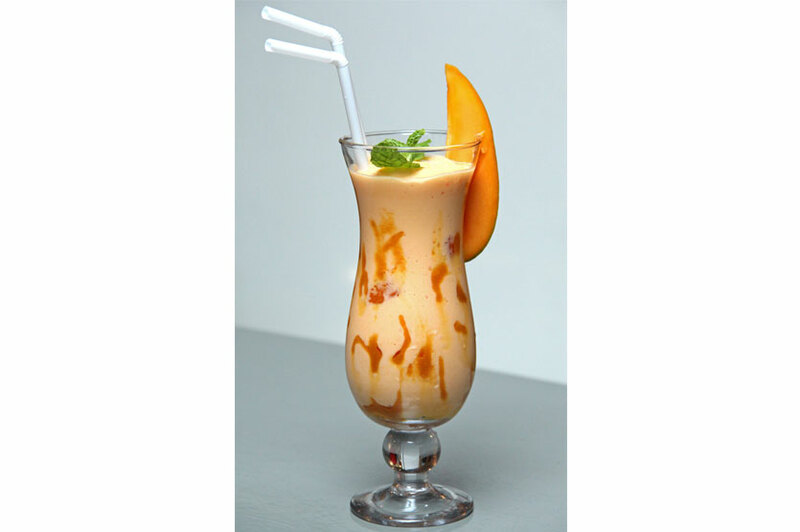 The Mango Smoothie (Rs. 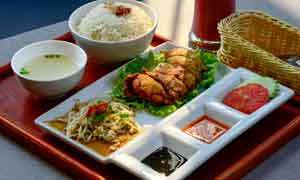 250) was also delicious and made to perfection. 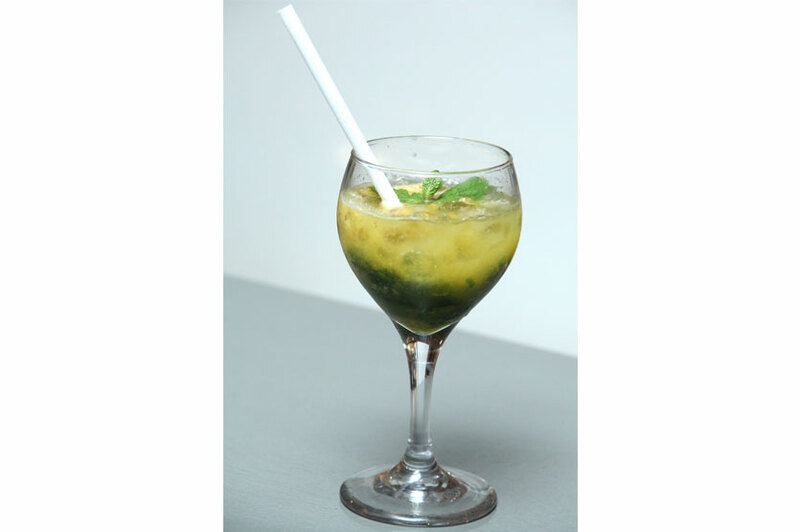 Then we tried out their Virgin Passion Fruit Mojito (Rs. 200). This too was very well made. The right amount of mint leaves, lime and sugar made it a super refresher. Kudos to Indunil as he seems to be an expert at this job. 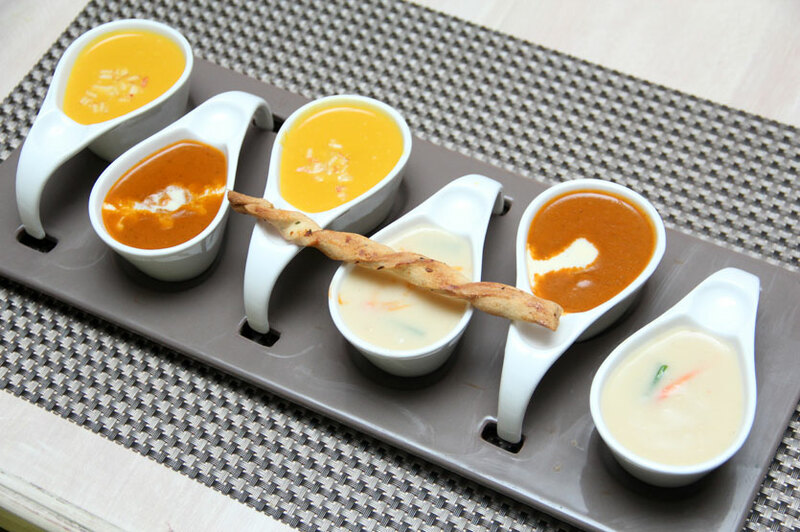 If you decide to have soup before your main meal, I suggest you order the Assorted Mini Soup Platter(Rs. 650), as this platter includes six little cups which is more than enough for two people and you get three different types of soup. What we had was the pumpkin, tomato and seafood. I loved the tomato soup and the pumpkin soup. If ordered separately it is Rs. 580 per portion. The salad we tried out was the delectable Barbeque Ranch Chicken Salad (Rs. 600). 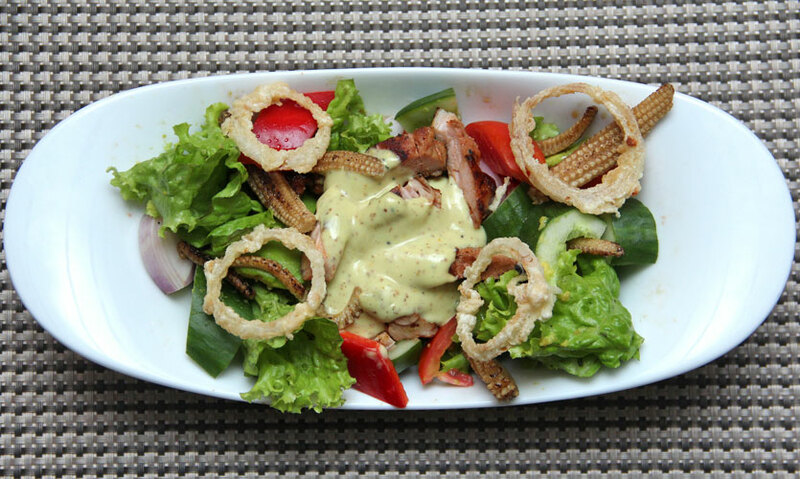 The fairly large portion included chicken strips, avocado, tomatoes, grilled baby corn, black beans and cucumber romaine all tossed with their barbeque ranch dressing topped with lots of crispy onion rings for crunch. The starter - Buffalo Blast (Rs. 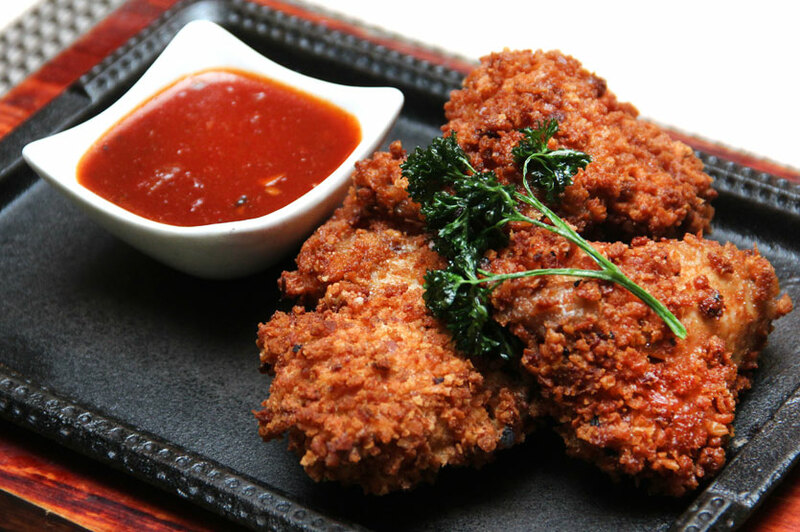 600) was a plate of fairly large and succulent deep fried chicken wings coated in cheese, breadcrusts and served with herbs and BBQ sauce. I loved the thick crispiness. Of the mains the Chicken Madeira (Rs. 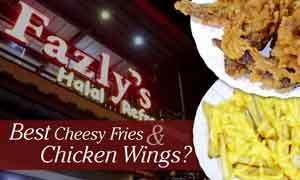 1150), is supposed to be their most popular dish. The sautéed chicken thighs were well marinated and flavoursome. It was covered with melted mozzarella cheese and fresh madeira sauce. Topped off with fresh green beans and served with mashed potatoes and fresh vegetables, this was a fabulous dish. Then the Chicken Enchiladas (Rs. 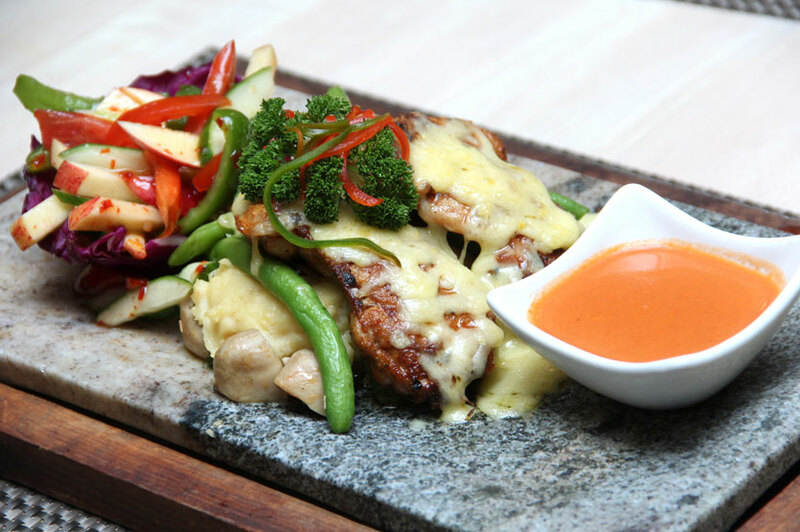 1050) was a dish of grilled chicken topped with mozzarella. 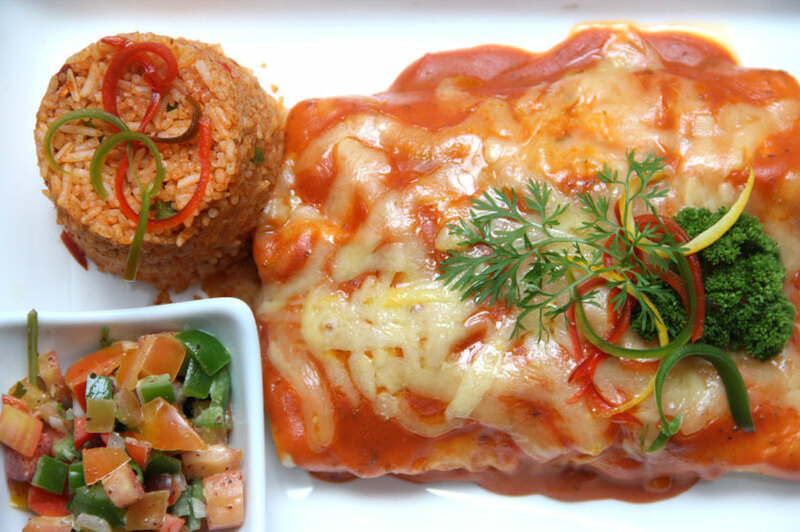 It's accompanied by a salsa with tomato sauce and basil leaves in addition to Spanish rice. So it's quite a wholesome dish. 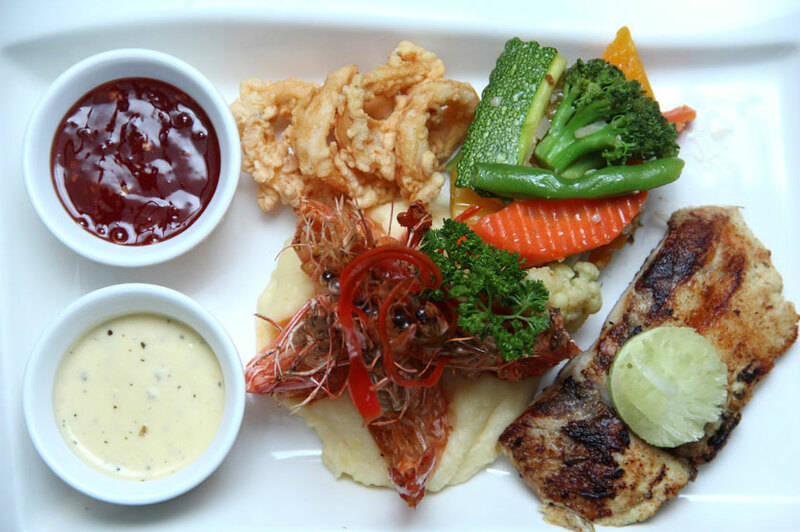 From the seafood selection, what we tried out was the Assorted Seafood Platter (Rs. 1500). It included prawns, calamari and fish. There was mashed potatoes and buttered vegetables to accompany the seafood and a really tasty lemon butter and a sweet chillie dip to go with it. 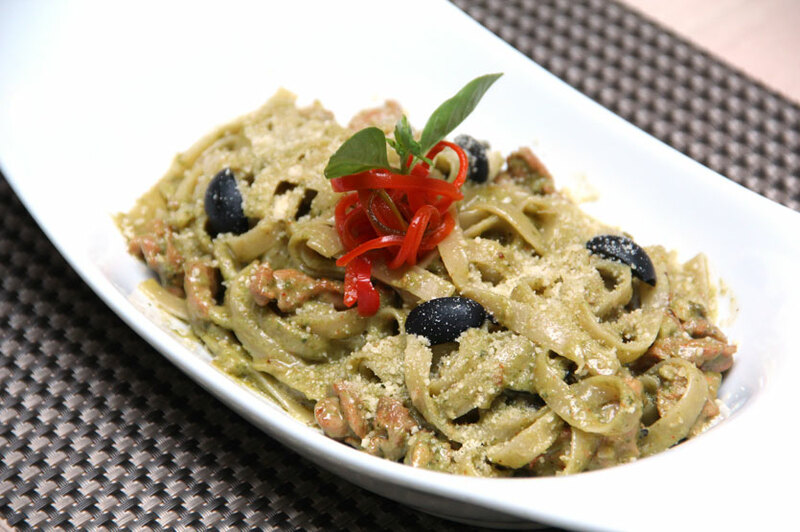 Then from the range of pastas, it was the Chicken Pesto Fettuccini (Rs. 1000) that we tasted. It was served with black olives and tomatoes and topped with parmesan cheese. 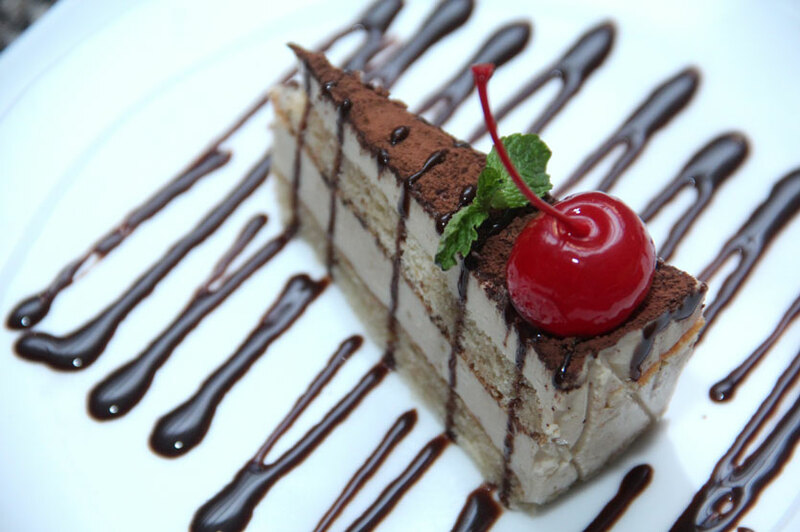 We tired the tiramisu which was light and not too sweet. 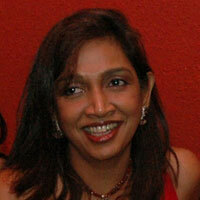 Peumal, the Assistant Manager made sure that the guests were well looked after. Although there were many tables full up, the service was swift and excellent. Everyone around including us, got their food real fast so that's a good thing. The parking area can get a little full, but don't be discouraged as the vehicles that come to the take away area move out fast. The security guy will make sure you get a place.